Seems like just yesterday school was getting out. Thankfully, Giant Tiger has everything you need to be Back to School ready in no time at all! 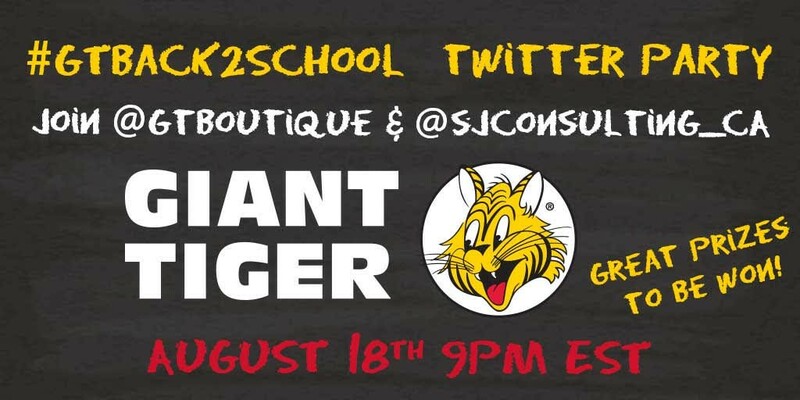 Throw in fantastic conversation with prizes to help you organize your back to school shopping at the Giant Tiger #GTBack2School Twitter Party! Please Join Us on August 18th at 9 pm EST! Come join us for some fabulous conversation, prizing and FUN!